Arjan - PlasticDaisy wrote: Amazing how that mist seems to creep up that hill! kyungmee (Homepage) wrote: Just beautiful!!!!! CrashRyan (Homepage) wrote: good lord! they're trapped!!! Arnd (Homepage) wrote: Stunning image of this ‘village at the edge of time’. What a magnificent scene, very fairy-tale like. Françoise (Homepage) wrote: perfect! I love this shot! 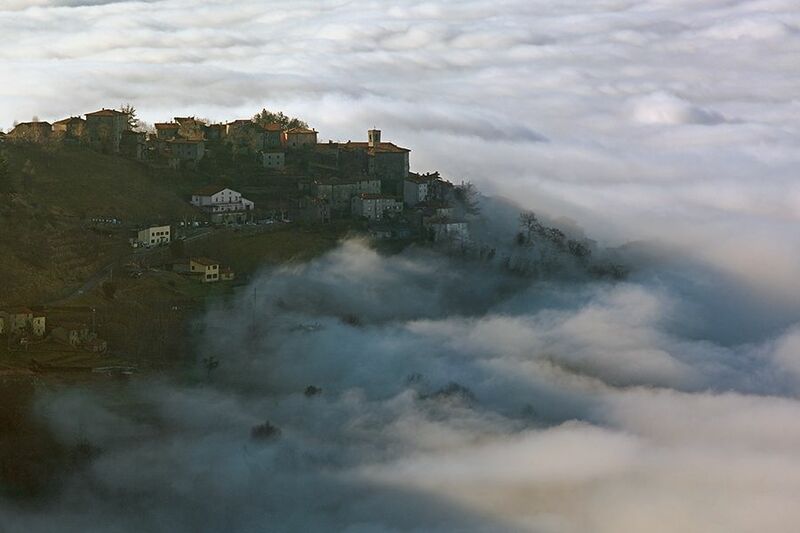 I love the way the clouds seem to be gaining on the village, on earth.. it is really a wonderful photo!